The Airlink schedule of three flights per day has now become an all jet service, offering customers enhanced “JET” comfort, a generous seat pitch, an expansive business class and reduced flying time. Airlink has recently introduced its 74 seat Embraer E-Jet on its early morning services between Johannesburg and Richards Bay. The E-Jet aircraft cabin layout features six business class seats, two plus two abreast economy class seating, large eye-level windows allowing in lots of natural light, with ample overhead bin space to accommodate carry-on items. Every seat offers either a window or an aisle option. The early morning flight departs OR Tambo International at 07h00 arriving in Richards Bay at 08h15 Monday to Saturdays. The return flight departs Richards Bay at 08h45 arriving in Johannesburg at 09h55. The midday flight departs from OR Tambo International Airport at 11h35 arriving in Richards Bay at 12h40, Monday to Friday and Sundays. The return flight departs Richards Bay at 13h10 arriving at Johannesburg at 14h15. The afternoon flight departs Johannesburg at 15h20 arriving at Richards Bay at 16h30, Monday to Friday and Sundays. The return flight departs Richards Bay at 17h00 arriving at Johannesburg at 18h05. Airlink looks forward to setting a new standard for business, leisure travelers and international tourists using its services on this key route which services one of South Africa’s major Ports with the largest coal terminal in the world. To celebrate the all jet service, a special published fare from R930 all inclusive, one way subject to W class seat availability is being offered for travel until 3 March 2019. Terms and Conditions apply. 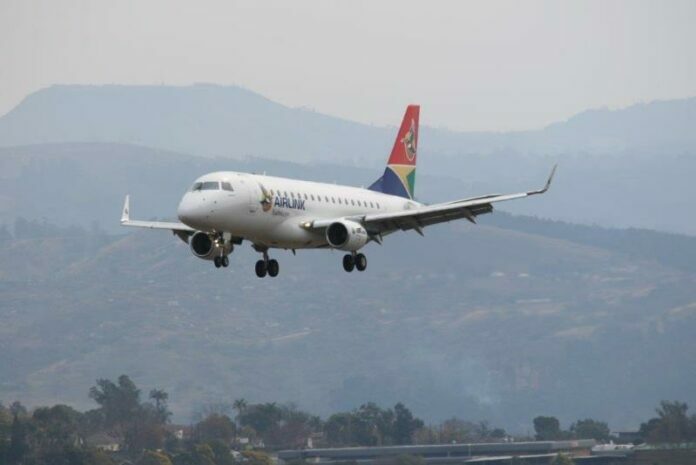 Benefits for Airlink travelers include Voyager Miles, convenient seamless connections with SAA and its global partner flights.